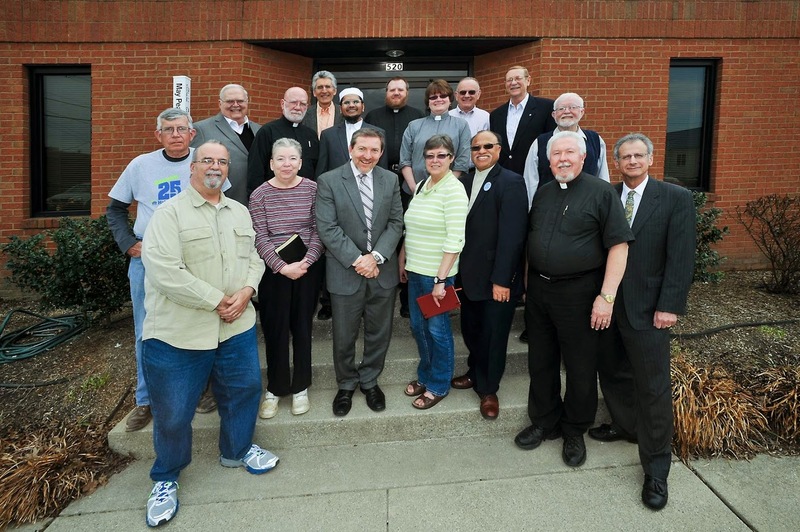 and religious leaders from all faith traditions in our area. and to provide support to each other in our various forms of ministry. To read more about social capital, click here. Members of the Charleston Area Religious Leaders Association, or CARLA, meet every month but have no agenda. They just talk and get to know each other. This is the 10-year anniversary of the organization. They meet once a month with no agenda and take no stands on issues. They simply gather for the fellowship. That is the beauty of CARLA and the reason the organization has remained strong for a decade. CARLA, an acronym for Charleston Area Religious Leaders Association, is celebrating its 10th anniversary. The group includes clergy from all different religions and denominations, including Jewish, Muslim, Orthodox, Catholic, Methodist, Baptist, Presbyterian, Episcopalian, Lutheran, United Church of Christ, Unitarian Universalist, and Unity houses of worship. When Kershner first tried to get CARLA going, he heard about previous groups that failed to stay together when delicate issues boiled. For example, there was the infamous 1974 Kanawha textbook controversy and the time disagreements swirled about gay clergy. Kershner figured the way to keep a group together was to refuse to be divided by controversial matters. As a result, members of the group have formed relationships, learned about various religious traditions and found how much they have in common. “It has been really wonderful,” he said. He said he has loved learning about other faiths such as the richness of the Jewish and Islamic traditions. He said participants realize how much they have in common as people of faith and in their respective roles—minister, rabbi, priest, imam. He said recent meetings have included discussion of Bible stories such as Noah and the Tower of Babel. Rabbi James Cohn of Temple Israel said nearly every meeting he attends has a specific agenda…with the exception of CARLA. He finds the meetings spiritually enriching as friendships are formed. He sees commonalities that are nurturing and differences that are enlightening. Imam Ehteshamul Haque, of the Islamic Association of West Virginia, agrees. Haque describes CARLA as a unique group of clergy members who gather for interesting meetings that are informative and educational. As religious leaders, they all face similar problems, challenges and issues, he said. “CARLA brings different faith group leaders together and that is a beautiful thing,” he said. And just as there is no agenda for meetings, there will be no special event held in recognition of the 10th anniversary of CARLA. @tagline:Contact writer Charlotte Ferrell Smith at charlotte@dailymailwv.com or 304-348-1246.